Irrfan Khan is an award-wining actor who gained a lot of attention for playing Paan Singh Tomar in the sports drama ‘Paan Singh Tomar’ in 2011. A role that earned him the National Film Award for Best Actor and a Filmfare Critics Award for Best Actor. He gained international fame for starring in films such as Slumdog Millionaire, New York, I Love You, The Amazing Spider-Man, Life of Pi, Jurassic World and Inferno. His other notable works include Life in a… Metro, Hindi Medium, Haider, Gunday, Piku and Talva. In 2011, he was conferred with the Padma Shri, India’s fourth highest civilian honour for his contribution to the field of arts. 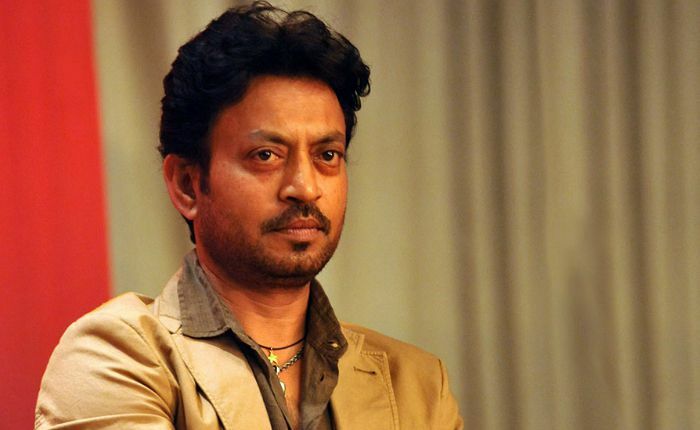 Irrfan Khan was born on January 7, 1967 in Jaipur, Rajasthan, India. He is currently 52 years old. He is of Pathan Indian descent. Irrfan Khan got a full scholarship at the National School of Drama (NSD) in New Delhi from here he graduated with a master’s degree in Arts in 1984. Irrfan was the son of Begum Khan of Tonk Hakim family, and the late Jagirdar Khan, who hailed from the Khajuriya village near the Tonk district. His father ran a tire business. He has three younger siblings, two brothers, Salman and Iman and a sister, Begum. Irrfan Khan married writer and fellow NSD graduate Sutapa Sikdar on February 23, 1995. Together, they have two sons named Babil and Ayan. Irrfan Khan made his feature debut in Mira Nair’s drama film ‘Salaam Bombay!’ in 1988. He played a role of the “Letter Writer” in the Academy nominated movie. His television debut came in 1985 when he was cast in the TV series ‘Shrikant’. The series, based on Sarat Chandra Chattopadhyaya’s novel of the same name, had its run on Doordarshan between 1985 and 1986. Irrfan has appeared in a number of hit movies as well as TV shows. His first successful work was’ Haasil’ (2003), in which he played the lead antagonist, and he won the Filmfare Award for Best Villain. His role in the critically acclaimed drama ‘Life in a… Metro’ (2007) earned him a lot of appreciation and awards including the Filmfare Award for Best Supporting Actor. In fact, the role marked a turning point in his acting career, leading him to land many significant roles in films. He won the National Film Award for Best Actor and a Filmfare Critics Award for Best Actor for his role in the hit biographical sports drama ‘Paan Singh Tomar’. It is one of his best works in his career. Irrfan has delivered remarkable performance in movies like The Lunchbox (2013), Hindi Medium (2017), The Warrior (2001), The Namesake (2006), The Darjeeling Limited (2007), Slumdog Millionaire (2008), New York, I Love You (2009), The Amazing Spider-Man (2012), Life of Pi (2012), Jurassic World (2015) and Inferno (2016). He has appeared in TV commercials and print ads for MasterCard, Resurgent Rajasthan, Envy 1000 deodorant, Lift Perfume Body Spray, Edelweiss Group, LU Bakeri Nankhatai, and Vodafone, to name a few. Irrfan’s net worth is estimated to be around $50 million. He charges between INR 12-15 crore per film as remuneration. He is one of the richest actors in Bollywood. In school, he was a good cricketer and played for the school team. He got selected for the CK Nayudu Tournament, which is for emerging players under 23 years, but turned down the opportunity due to lack of funds. Irrfan got his start in entertainment industry with roles in television serials before making it to big screen. He had appeared in a number of TV serials before making it to films. In the late 90’s, he had almost decided to give up acting as he couldn’t get proper television roles and moved to Mumbai, which was a turning point in his career. He worked as an AC service man before landing onto films. He landed a small role in the film ‘Saalam Bombay!’ but his portion was removed in the final cut. In September 2015, he was made the brand ambassador for “Resurgent Rajasthan”, a campaign by the state government of Rajasthan. Irrfan is the only Bollywood actor to have starred in two Academy Award winning movies, Slumdog Millionaire and Life of Pi. He was originally considered to play Matt Damon’s part in ‘Interstellar’ and Chiwetel Ejiofer’s part in ‘The Martian’, but he turned down both roles due to scheduling conflicts. Anurag Kashyap selected him to play a pivotal role in his film, “Black Friday” but he walked out of it. On March 16, 2018, Irrfan announced on Twitter that he is suffering from a neuroendocrine tumor, a rare condition. He is currently undergoing treatment for the same.